The current article is the first in a series of articles titled Apprehension and Longings by the author on classical music from the early twentieth century. The series will mostly center on Jewish composers, but also includes non-Jewish composers whose music was condemned and banned by the fascist regimes that came to power. The catastrophic events of the era disrupted their careers and threatened their very lives. In some cases, they were able to flee their homelands, in other cases they perished along with the millions. The period would be a devastating one for European Jews of unparalleled magnitude and consequence. The music of the period provides us a portal into the past. As George Santayana warned us long ago, "Those who do not remember the past are condemned to repeat it". Music as remembrance is a strong tool for vigilance, least we not forget. For Europe, the early decades of the twentieth century was a time of transition, anxiety, instability and the rise of unprecedented hatred culminating with two world wars and a holocaust of unparalleled brutality and slaughter. In contrast, it was also a period of consummate artistic creativity that transformed 18th century Romanticism, giving birth to Modernism. Aurally, a door opened to an innovative new music landscape by composers exemplified by Arnold Schoenberg, Béla Bartók, and Igor Stravinsky, and lesser known composers including Alexander von Zemlinsky, Victor Ullmann, Franz Schreker, and many others. Positioned at the vanguard, each had their own unique expression; their music reflects a period of apprehension and longing. Two short dramatic operas, Erwartung (Expectations) composed by Arnold Schoenberg in 1909 and Duke Bluebeard's Castle (Hungarian: A kékszakállú herceg vára) by Bela Bartók in 1911 (with modifications made in 1912 and 1917) are examples of art serving as a mirror to the past. They are indeed great works from the early twentieth century that need to be heard. 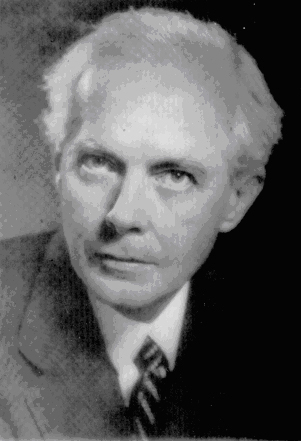 Béla Bartók (1881–1945), a Hungarian, was endeared by his countries folk music tradition. He often incorporated Gypsy and Hungarian melodies into his own compositions. 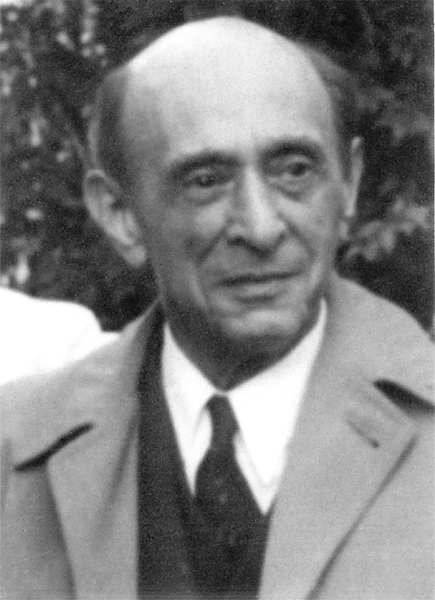 Arnold Schoenberg (1874–1951), a Jew explored the limits of Romantic tonality, and would realize a new world of sound in atonality and ultimately in his innovative system of serial composition. Both men were forced to leave Europe, fleeing persecution and the rise of fascism and intolerance. The Nazis labeled their music degenerate and banned it from public performance and publication. They settled in America, a land that lacked the established musical tradition that was vital to both of them. To Schoenberg the lesson was clear, as he declared, "I have at last learned the lesson that has been forced upon me during this year, and I shall not ever forget it. It is that I am not a German, not a European, indeed perhaps scarcely a human being (at least the Europeans prefer the worst of their race to me) but I am a Jew." Bartók was never comfortable in the America, finding it very difficult to compose. Americans for their part showed minimal interest in his music. Both men were not only exiled from Europe, but from its great musical tradition. Erwartung is a tale of a woman in search of her missing lover. To her horror she discovers his murdered body and is uncertain if she committed the crime. The action takes place in the mind of the protagonist. Her mental anguish and anxiety are momentary yet evolve during the 30 minute span of the one act opera. Schoenberg's use of atonality facilitates the compression of time and intensifies its emotional force. Schoenberg was well aware of this, as he sought "to represent in slow motion everything that occurs during a single second of maximum spiritual excitement, stretching it out to half an hour." Duke Bluebeard's Castle is a psychological tale of woe. Best sung in Hungarian, Bluebeard is a haunting experience and one of the best short operas of any period. Judith, the new bride of Duke Bluebeard, has journeyed with her husband to his castle to find it shrouded in darkness. The castle has seven locked doors, which Judith insists Bluebeard unlock to allow light into the castle. The doors, in the case of the Chicago Opera Theater production (review follows) are located on the stage floor. Their mysterious contents are sealed as if buried underground. Bluebeard reluctantly yields to Judith's request as she unlocks door by door. As the first few doors are opened they reveal unexpected horrors and emit various colored light. The first door reveals a torture chamber, blood weeps from the walls. The second door opens into Bluebeard's armory of blood stained weapons. On Judith's insistence, Bluebeard continues to give her keys to the next three doors. Judith desires to dispel the castle of its gloomy darkness. The third door houses Bluebeard's vast treasury of riches. Judith is horrified to see the gems and gold also covered with blood. Bluebeard prompts her to open the fourth door which conceals a secret garden. Again, blood stains the flowers and soil. Judith hurries to the next door. The fifth door is a portal to Bluebeard's kingdom. The penultimate sixth door reveals a motionless pond of tears, tears from Bluebeard's emotional losses. Bluebeard pleads with Judith to go no further. Judith questions Bluebeard if rumors about him are true, was she his first and only love or was there others? We learn that there were indeed others, three previous wives who met their end by Bluebeards bloody hands. Judith is doomed as her fate is entombed beyond the last door. The plot can be viewed as many things. One can see it as a premonition of things to come. Or an analogy of the tyrannical ruler and what they could unleash. Or even a cautionary psychosexual tale. Or is it veiled in romantic symbolism? Its ambiguity is part of its intrigue. Europe, in the years leading to the First World War was mobilizing for conflict. Nationalism and militarism were on the rise. As European leaders were compelled, Bluebeard destroys everything he loves and cannot cease his destructive course of action. 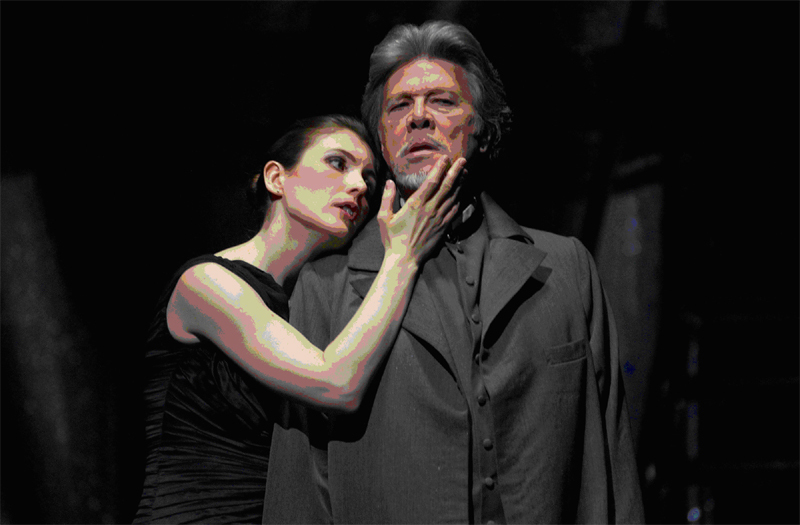 Erwartung and Duke Bluebeard's Castle are often performed together; the Chicago Opera Theater staged a recent production (May 9–19, 2007). COT was founded in 1974, is the second city's second opera company, nevertheless they are without a doubt a premier company delivering riveting performances on the most challenging works. COT is a significant voice in the cultural life of Chicago who does not shy away from performing modern repertoire. Bluebeard's Castle cast included the astounding baritone Samuel Ramey as Bluebeard, and the enchanting Krisztina Szabó as Judith. The solo role of the woman in Erwartung was sung by Nancy Gustafson, a native of Evanston, Illinois who is a top tier singer and operatic actress. Alexander Platt led the opera's orchestra. His musical imagination provided stunning coloration and bravado to the dramatic scores. The production team of Performance Director Ken Cazan, Production Designer Peter Harrison, and Lighting Designer Adam Silverman offered sparse staging that demanded a compelling interpretation by the cast; who delivered a poignant presentation. The orchestra at moments overpowered mezzo-soprano's Krisztina Szabó tender voice, but this may have resulted from the orchestra's forward open pit position due to the castle doors location. Nevertheless, the doors allowed the audience to see the character of Judith directly, face to face. Ms. Szabó acting was stunning and compelling. The door location introduced an element of mystery of what lay beneath them, the diverse colored light and projected patterns on the castle walls allowed one to imagine their dreaded contents. Ramey portrayal of Bluebeard was noble even if he proved to ruthless wife killer. The production included very tender moments as Judith and the Duke displayed their love and affection—always tinged with blood and trepidation. Ramey's luminous voice provided a sure and steady authoritative command of the difficult text and score. The production's only shortcoming was the representation of Bluebeard's former wives who emerge from the seventh door. The costuming appears more like pixies from Mendelssohn's A Midsummer Night's Dream prancing onstage than grisly corpses. A darker approach would have been preferable. Ms.Gustafson gave an astounding performance in Erwartung. As in Bluebeard, the staging was minimal: an interior room with black drapes, a chandelier hung crooked from the ceiling, another black drape on the floor enveloping Ms. Gustafson and concealing a white blood-stained sofa and the murdered corpse. 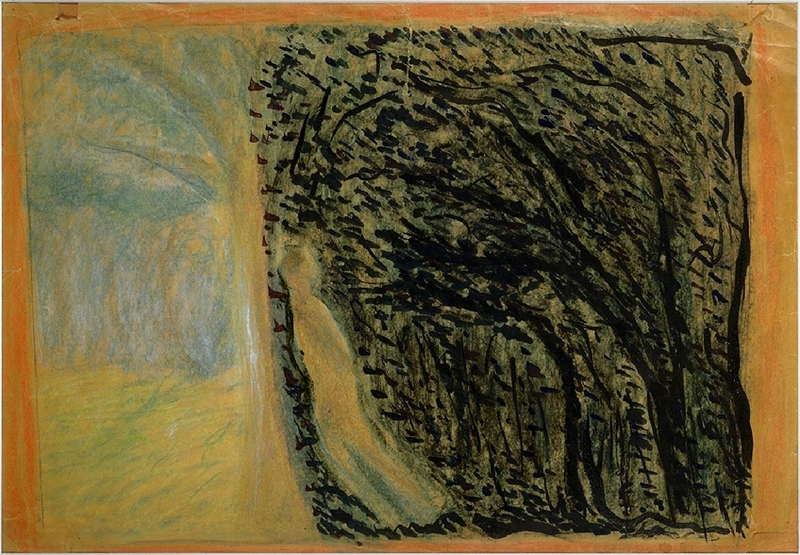 The interior room substituted for the dark forest called for in the composer's original conception. Ms. Gustafson wanders underneath the drape searching for her missing lover only to be shocked at discovering the body on the sofa. Gustafson brilliantly leads us through the emotionally charged scene. Her mastery the challenging vocal score was convincing and intensely charged. Erwartung and Duke Bluebeard's Castle are unsettling dramas. They ask us to look and listen, to take stock of ourselves, face our short comings and remember past horrors. Levine and Norman provide a dramatic rendering of Schoenberg's Erwartung. The recording is superior. Norman's singing is superb and vibrant; her performance unleashes power and immediacy that makes one's heart race. Pierre Boulez has recorded Bluebeard's Castle a number of times during his career. The recording with Laszlo Polgar and Jessye Norman is perhaps the best available. Boulez's command of Bartok's music and the great Chicago Symphony Orchestra is as rich as Bluebeard's treasury and as vast as his Kingdom. Copyright © 2007 Stewart I. Cherlin. All rights reserved. This page is maintained by Ari Davidow. E-mail Ari Davidow with any comments or suggestions. Last revised 14 October, 2007.